The NES is 30 years old and to celebrate, the Shacknews staff is sharing some of their personal favorite NES games of all-time. Today's entry is from editor-in-chief Steve Watts. I loved River City Ransom, but seeing as Daniel already praised it, I couldn't let this list go by without showing a little love for its strange third cousin. 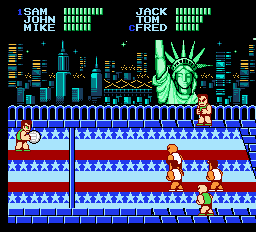 Super Dodge Ball took the classic gym class game and added the requisite insanity of the River City Ransom universe. You wouldn't just throw the ball, you'd launch it like a rocket, or make it hover overhead before crashing down on your unsuspecting opponents. You flung it so hard your opponents would turn into angels and fly away, implying that you actually murdered them with a rubber ball. It wasn't a difficult game once you got the hang of using momentum for super shots and catching the opponent's attacks, but it was a great way to waste an afternoon. I've never been terribly good at puzzle games, but something about Dr. Mario was so brilliantly accessible that it grabbed me tight and didn't let go. For months I would spend an hour or so every day after school trying to beat my high score, to get further than I had. The color-matching mechanic was easy to grasp, but the pills coming in pairs meant I had to carefully plan my moves to make the most out of each capsule. The realization that I could wring extra points out of cascading pill parts added yet another layer of complexity. With an easy-to-learn, hard-to-master structure, infectious music, and adorable dancing viruses, Dr. Mario was one of the portly plumber's odd vocations that stuck with me. Yes, I know that Mega Man 3 was not as good as Mega Man 2, and arguably it marks the beginning of the gradual decline of the series. However, this list is about those emotional touchstones that still resonate with us, and for me, this is it. I've said before that Mega Man is a large part of why I'm even in this industry, having fueled my passion enough to start writing about games. Mega Man 3 was my very first Mega Man game. Right now I can hear its title screen music from memory, as fresh as the day I played it. It's not mere nostalgia alone fueling this choice, though. Mega Man 3 was a great game in its own right, even given the inevitable comparisons to its predecessor. Whereas Mega Man 2 is famous for one overpowered weapon, the weapons in Mega Man 3 were more varied and balanced. The enemies were a vibrant mixture of obvious concepts (Magnet Man) and absolute weirdos (Gemini Man). The introduction of Proto Man added a level of intrigue usually unheard of in 8-bit action games and gave it an extra layer of story. Rush finally allowed the usual environmental tools to have a personality of their own. It was just impeccably thought out from start to finish. I love all Mega Man games, but Mega Man 3 has my heart container. What can really be said about The Legend of Zelda that hasn't already been said? Nintendo crafted an enduring masterpiece here, which served as the rough template for a deep franchise to follow. All the best qualities of the series were here in some prototypical form. The sense of adventure, the open world, the mystery and exploration, the deadly dungeons, the accomplishment of finding items and experimenting with them. The Legend of Zelda is not my favorite Zelda game. That honor belongs to A Link to the Past, which polished and perfected this blueprint. 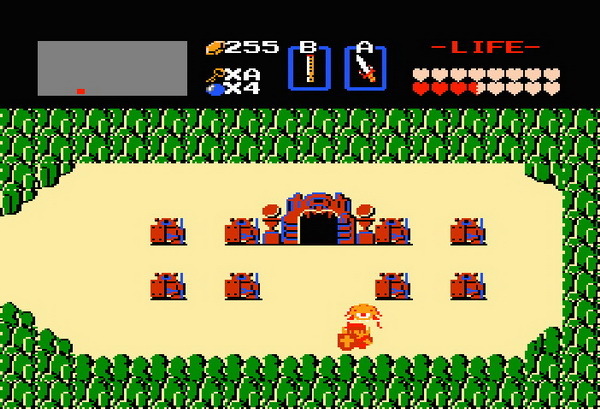 But playing the original Legend of Zelda is like listening to The Beatles. Subsequent works may have iterated on these concepts in a way that resonated with me more personally, but there's something special about going back to the seminal classic and recognizing everything you love in its infancy. Super Mario Bros 3 was gigantic, and not just in terms of its cultural impact. Nintendo's follow-up to the original Super Mario Bros, after the off-brand Super Mario Bros 2, was presented with a sense of scale that blew my little mind. Each of the eight worlds were differentiated to an absurd degree, with some enemies appearing only in a single world or sometimes even in a single stage. Wandering enemies made for an unexpected level of gameplay variety. The Koopa Kids provided boss battles that each came with their own flavor. Then you had the warp zones, the hidden tricks and secrets, and the fact that you could actually fall behind the set dressing to access hidden areas. There was so much to explore that a relatively simple platformer became something greater. It was the talk of the schoolyard, the mystery box to be uncovered, the game that could be played in a short burst or a longer all-day session sitting by the air conditioner on a hot summer day. 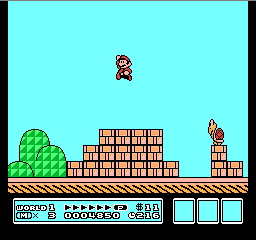 It showed us all a glimpse of what video games could be, and cemented Nintendo as the undisputed king of 8-bit gaming. It's not just one of the greatest NES games. It's one of the greatest games, period. Mega Man 3, Steve. Really. Mega Man 3. Really Steve. This list is suspect and so is your entire brand, Steve. MM4 is the best NES MM gameplay wise. As a kid, I always preferred 3 to 2. I couldn't rightly tell you why. Best music in the series, sliding, not 100% about spamming metal blades. Though spamming Metal Blades was awesome. MM3 is better than 2. MM2 was a great but broken game. To win, spam Metal Blades! MM3 had more diverse bosses and boss weapons, more interesting and challenging stages, plus all the bosses from MM2 in extremely tough remixed stages and battles. I had the chance to play Mega Man 3 at the Nintendo World Championships in 1990. Best game ever made I think.